Championship side Birmingham City have been approached by a sports management company representing a consortium interested in purchasing the club. Birmingham International Holdings Limited (BIHL), the company that owns the club, said they were approached on 23 and 31 January by the unnamed group. Blues stated last May that they were seeking new investors. Former QPR chairman Gianni Paladini has previously admitted his desire to lead a consortium to take over the club. However it is unclear who the latest bidder is. 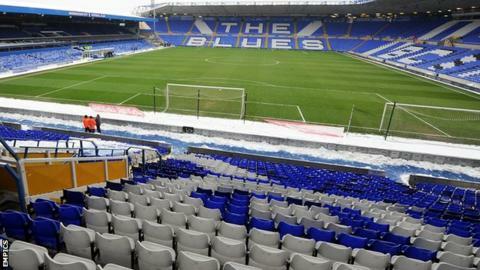 In a statement to the Hong Kong stock exchange, BIHL said: "The company has been formally approached on 23 January 2013 and 31 January 2013 by a sports management company, who has indicated that it will be able to lead a consortium which will consider the purchase of Birmingham City Football Club Plc, (the) company's subsidiary. "The company's lawyers are currently in contact with the interested party with the view to clarifying matters of this approach." Despite the club not officially being up for sale, Blues chairman Peter Pannu revealed last November that they were in talks with two parties interested in buying the club. One of those parties was reported to be Paladini, who claimed to have had a £30m bid for the club rejected. The club have failed to publish their financial figures for the past two years, while major shareholder Carson Yeung is awaiting trial in Hong Kong having been charged with money laundering. In January, England international Jack Butland was sold to Stoke City after it was revealed that Blues were open to offers for any of their first-team players. On the pitch, Birmingham, who reached the Championship play-offs last season, lie 16th in the league table and are just six points off the relegation zone.